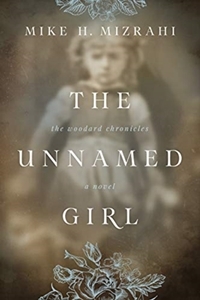 The Unnamed Girl is about the power of love to rescue: the unlikely love of a woman whose world is far removed from one man’s crumbling reality; and the mysterious connection with an object that exudes an innocence and love that preserves his emotional being. Woody is captured, and months later a prison escape during a North Ohio blizzard claims his foot. The quest to find the girl begins. Woody enlists the help of the widow Rebecca Johnston in exchange for free labor around her Southern Ohio farm. He soon learns she is an abolitionist and conductor on the Underground Railroad. Complications arise: love enters the equation, but an insurmountable lie stands between them. Does Woody come clean with his secret? Will he put his search on hold to help Rebecca rescue a freedman and his son, sent to Lumpkin’s notorious slave jail in Richmond through the Reverse Underground Railroad? 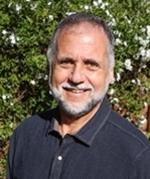 Mike H. Mizrahi's first historical novel, The Great Chattanooga Bicycle Race, was published in 2017 and is available on Amazon. His upcoming projects include a book of short stories entitled The Power of Yes, and a novella about the harshness of life in war-torn Congo entitled Kabirizi’s Revenge. Mike is an avid blogger.